1. 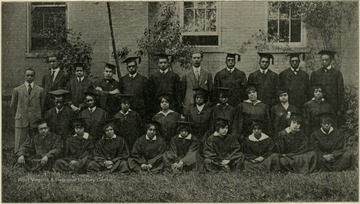 Graduating Students in Cap and Gown, Storer College, Harpers Ferry, W. Va.
Graduating Students in Cap and Gown, Storer College, Harpers Ferry, W. Va.
2. Boys' Dormitory, Storer College, Harpers Ferry, W. Va. 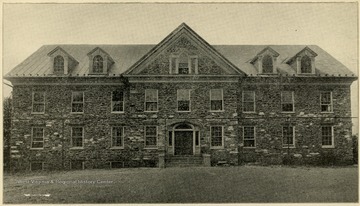 Boys' Dormitory, Storer College, Harpers Ferry, W. Va.